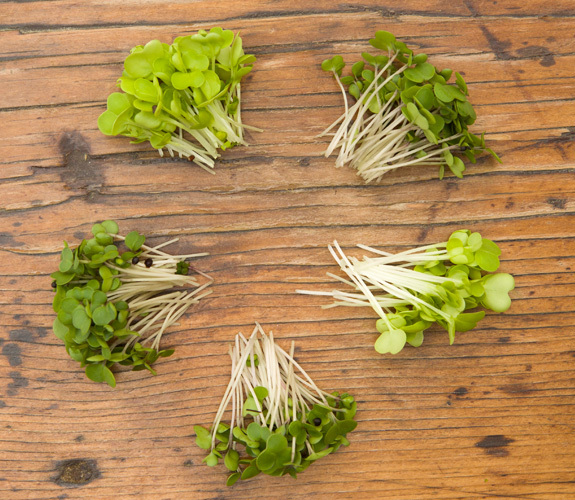 Our microgreens mix is a variety of different brassicas that vary from season to season. 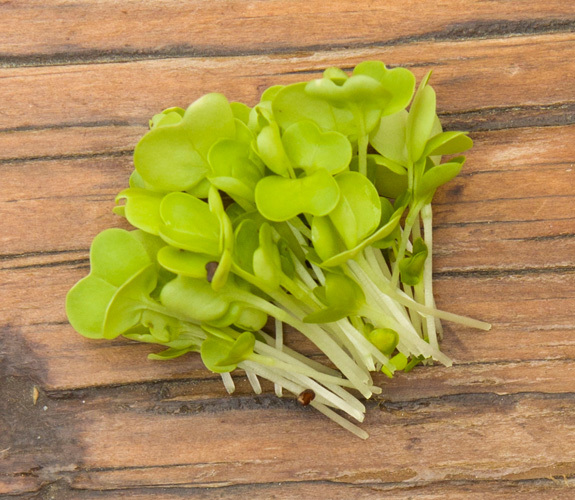 We typically create a mix that is powerful and complex, and more often than not our micro mix will stand alone as a salad mix. 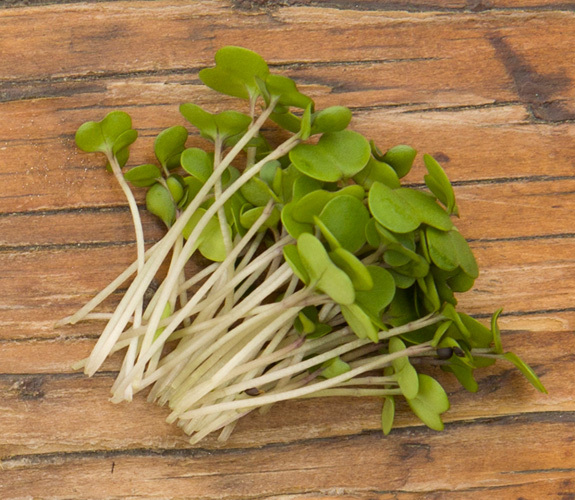 Like all of our other varieties of microgreens, our micro mix is grown in a natural, sterile environment and is grown from only certified microgreens seeds. 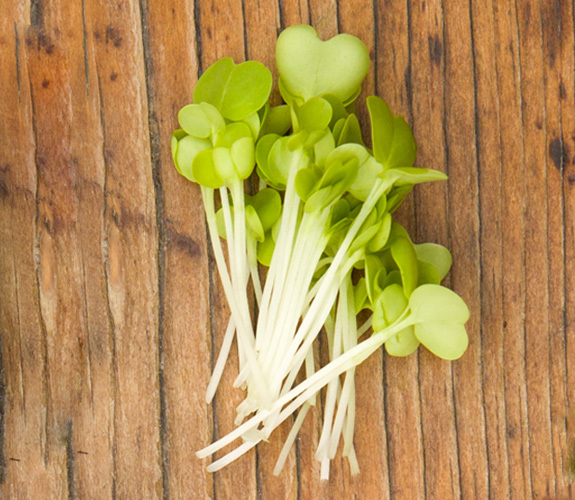 In taste micro mix does vary, however typically we aim for a complex flavour profile that is lead by sweetness and a little bit of spiciness. 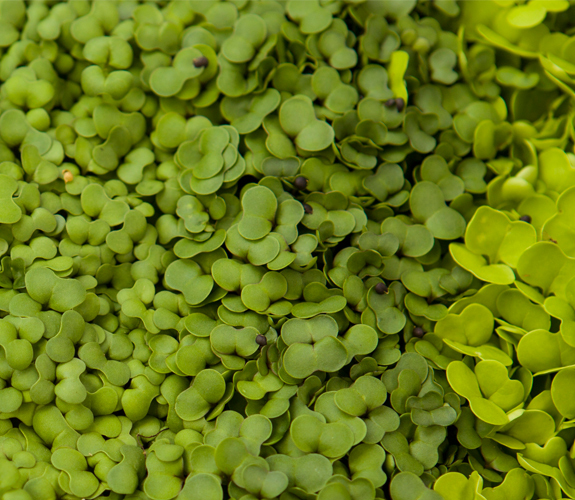 The leaves have a texture similar to spinach, although not as delicate.